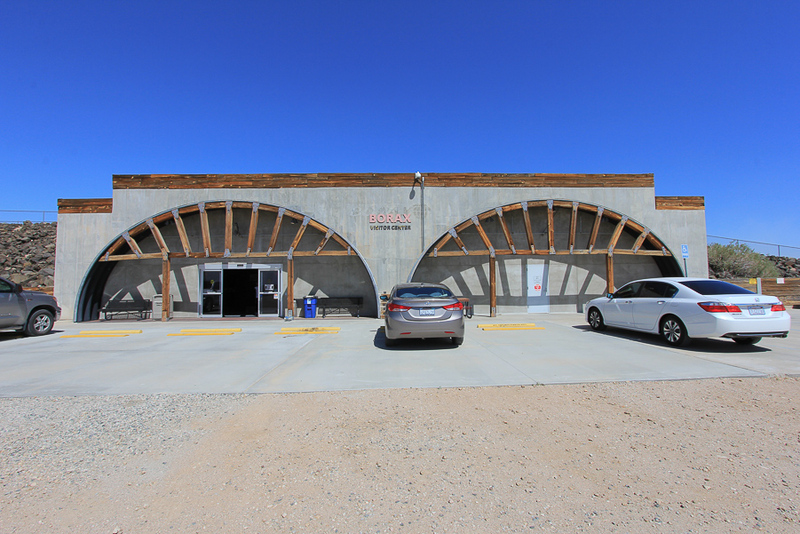 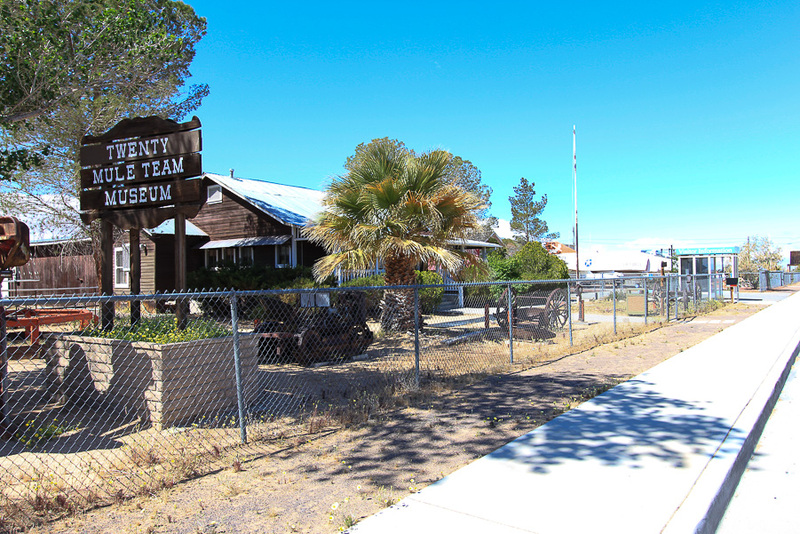 April 25, 2016 - Today we drove into the middle of nowhere in Kern County to visit the town of Boron on the western edge of the Mojave Desert. 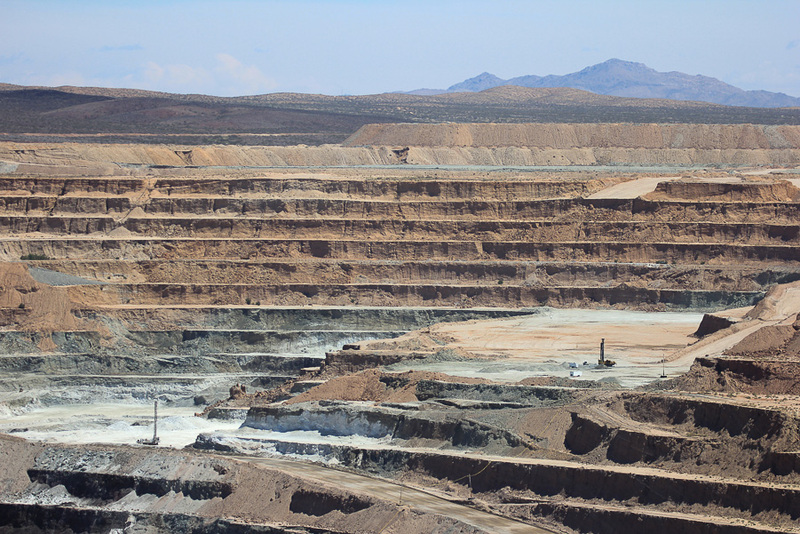 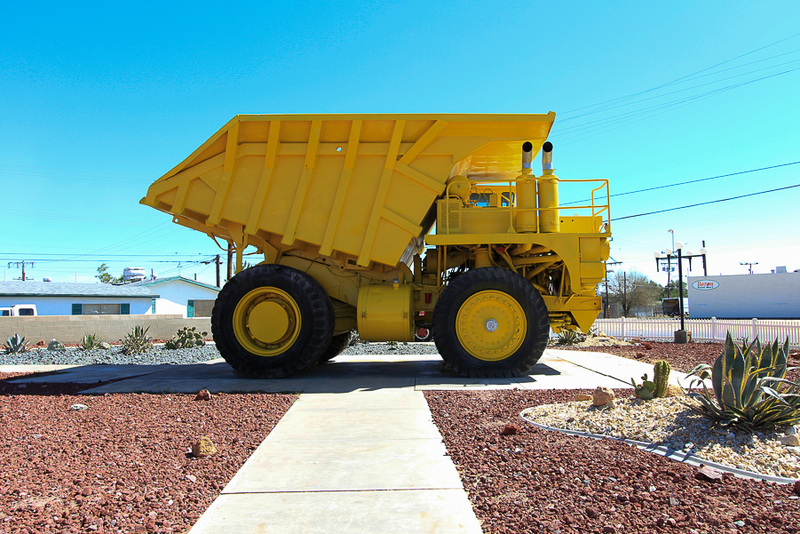 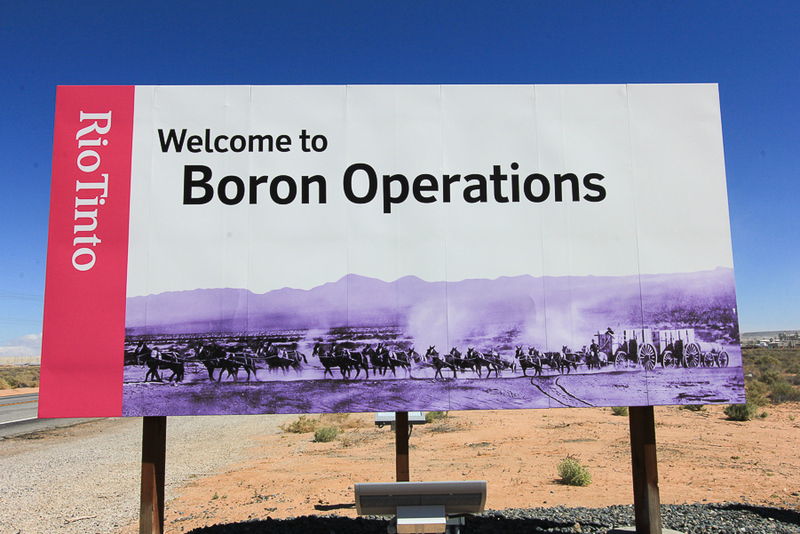 Boron is home to the U.S. Borax Boron Mine, California's largest open-pit mine, which is also the largest borax mine in the world. 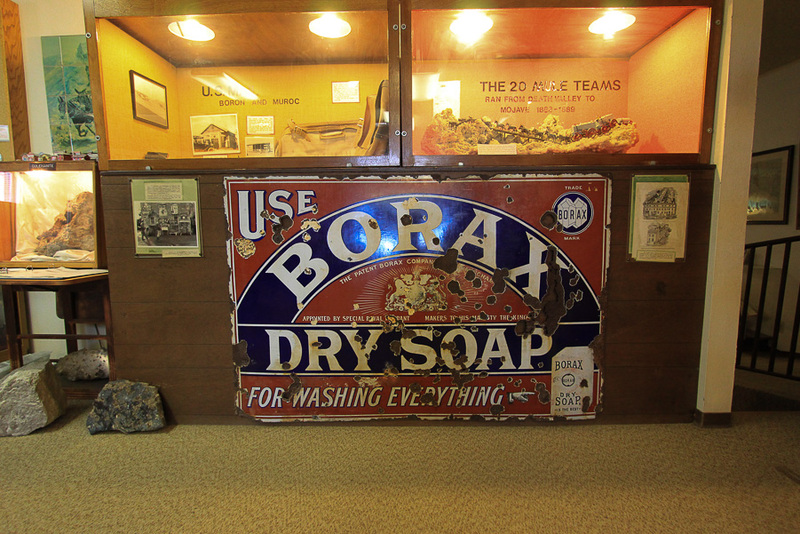 The mining of borax was made famous by the television show "Death Valley Days," which aired from 1952 until 1970. 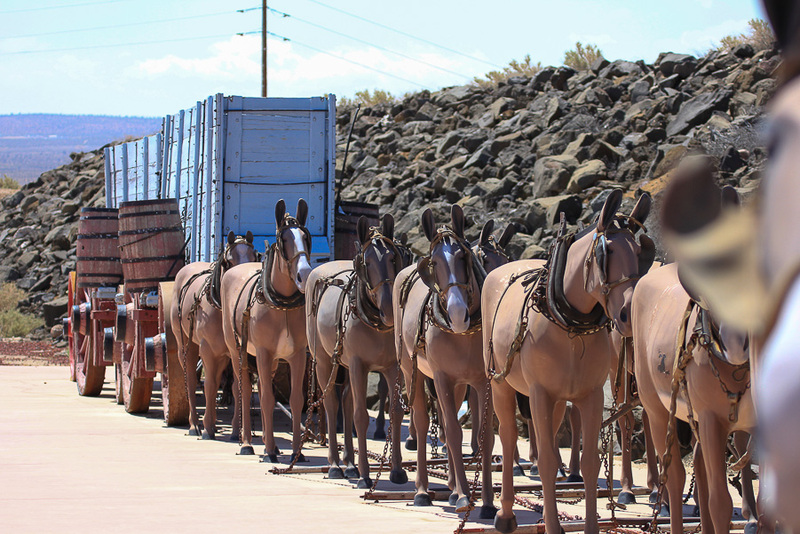 Twenty-mule teams were teams of eighteen mules and two horses attached to large wagons that ferried borax out of Death Valley from 1883 to 1889. 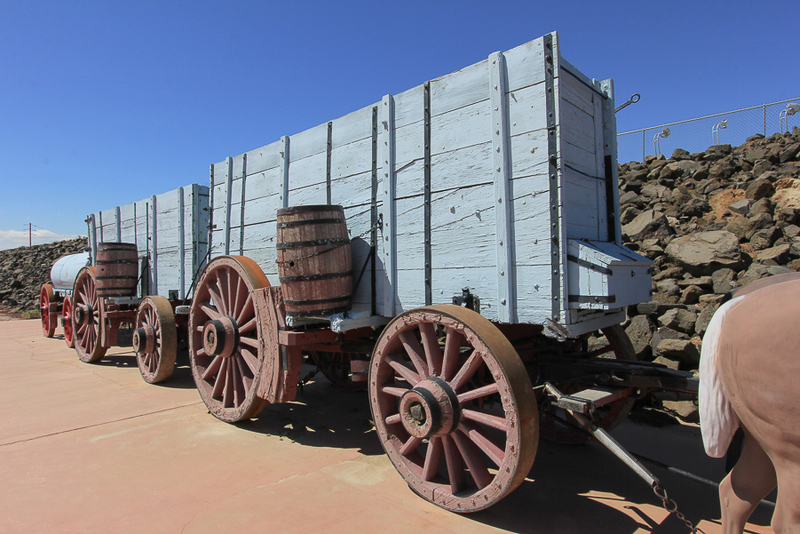 The ore wagons were among the largest ever pulled by draft animals. 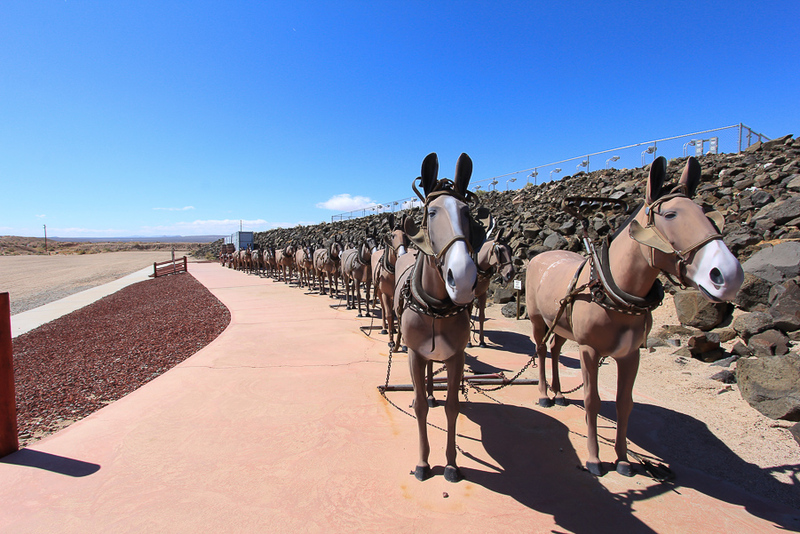 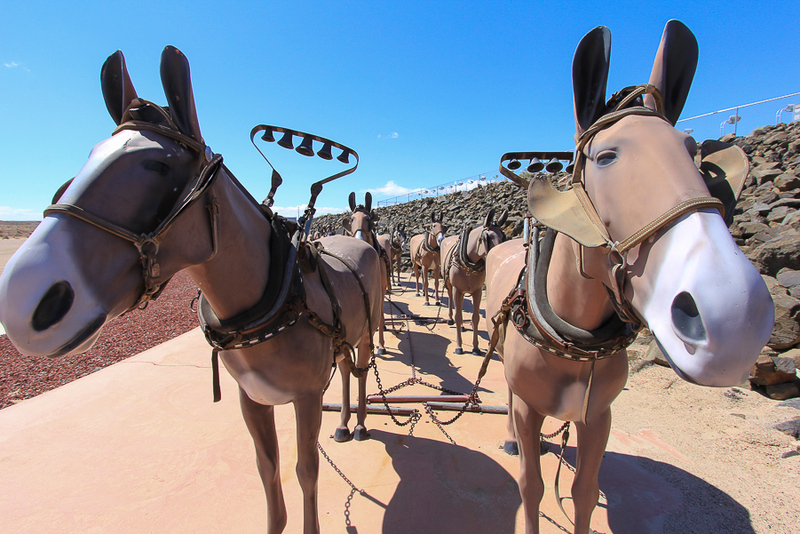 With the mules, each caravan stretched over 100 feet hauling about 36 tons of ore, water and supplies. 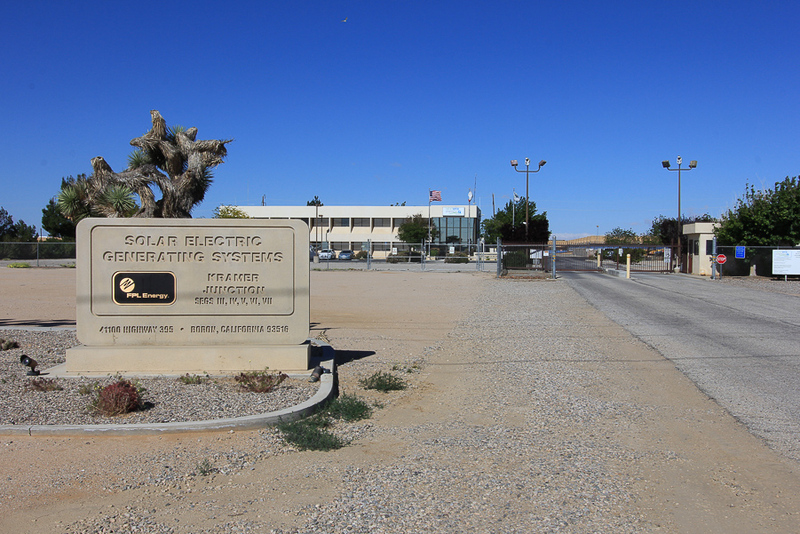 On the drive to Boron we passed the Kramer Junction solar fields, the world's second largest solar thermal energy generating facility. 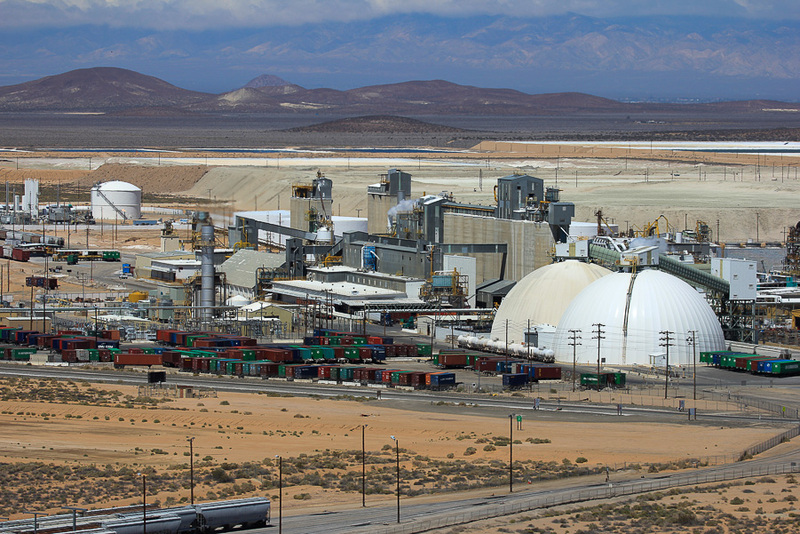 There are nine plants in the Mojave Desert and NextEra Energy Resources claims that these solar plants power 232,500 homes. 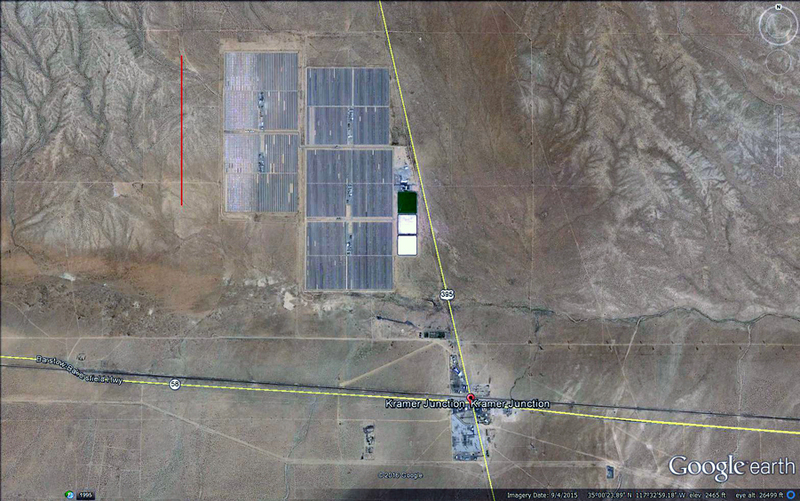 To get an idea of how big this solar field is, in the picture below, the red line is one mile long. 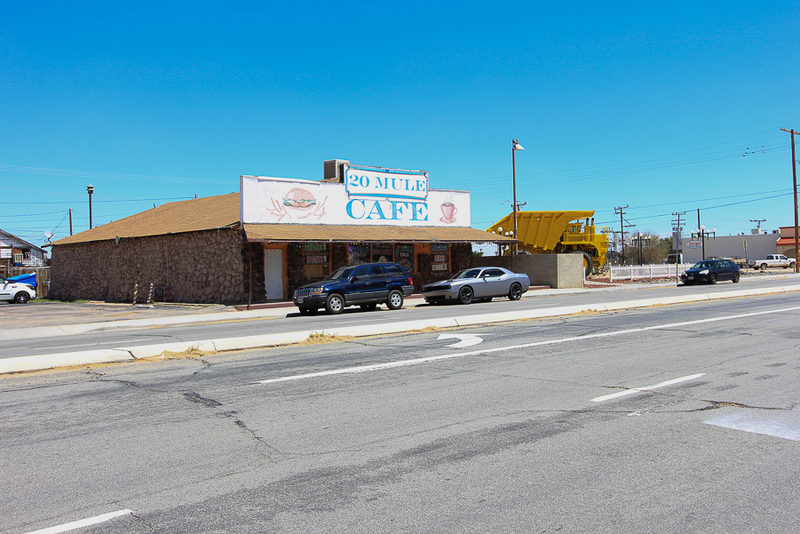 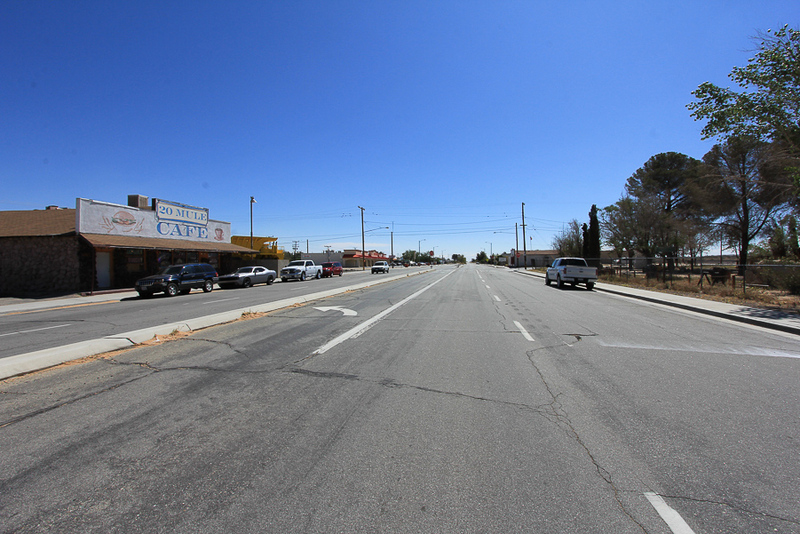 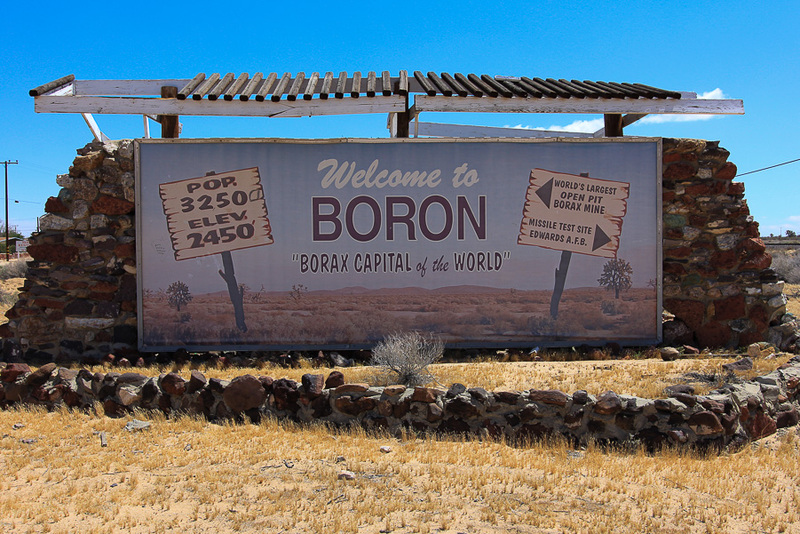 The town of Boron is sparsely populated and appears unchanged from the 1950's. 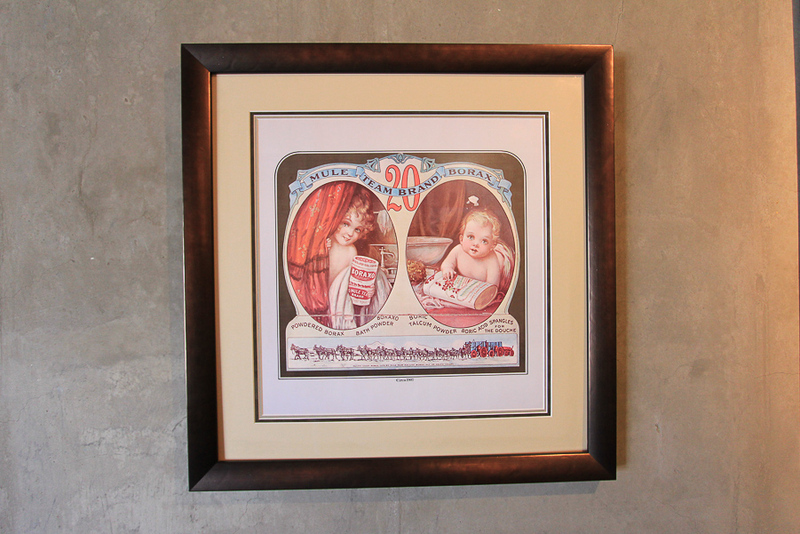 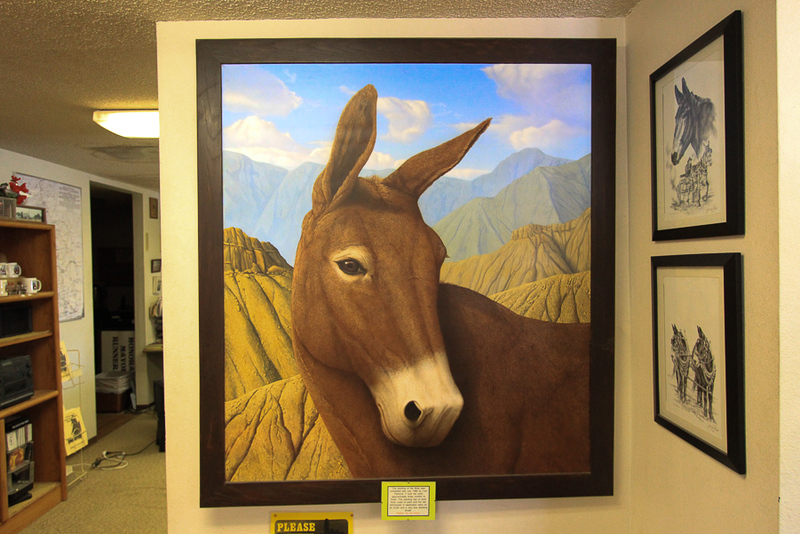 We had a traditional breakfast at the 20 Mule Cafe before seeing the sights in town. 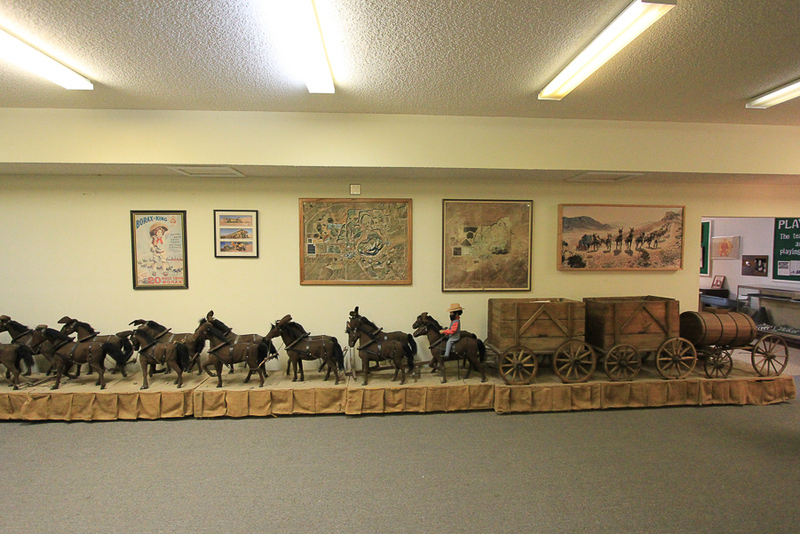 Right across the street is the Twenty Mule Team Museum. 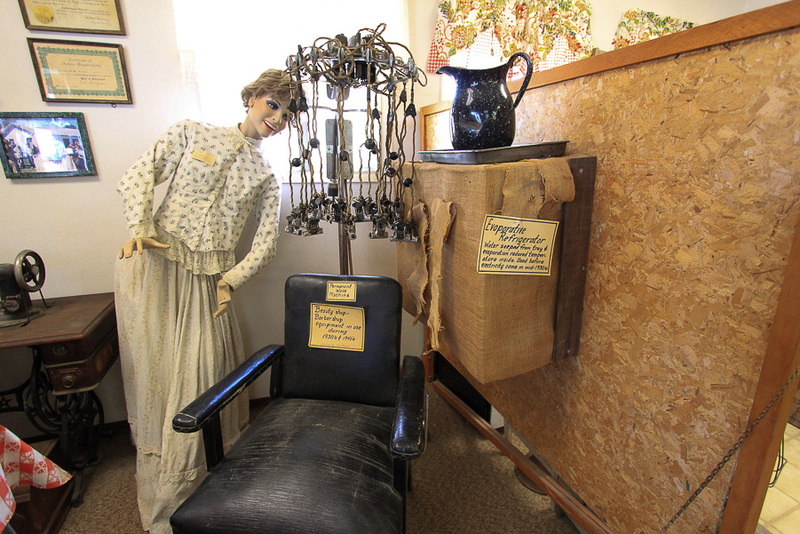 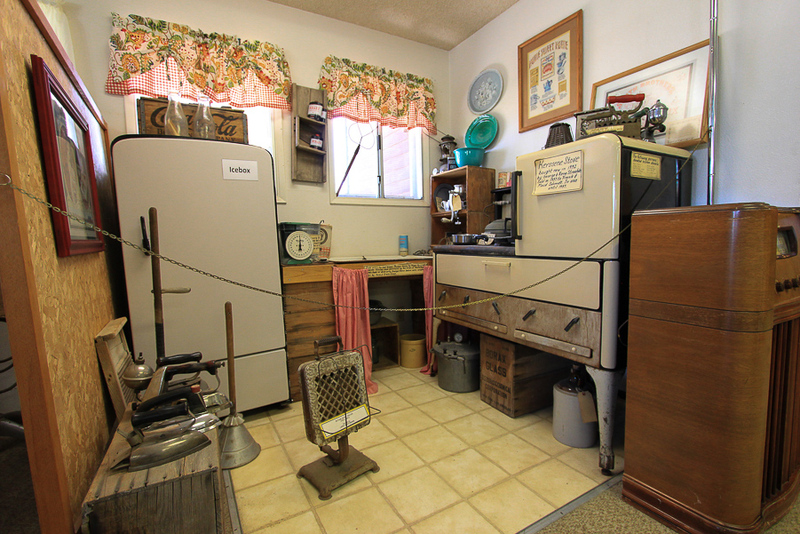 That's an old fashioned "permanent wave" contraption above the barber's chair. 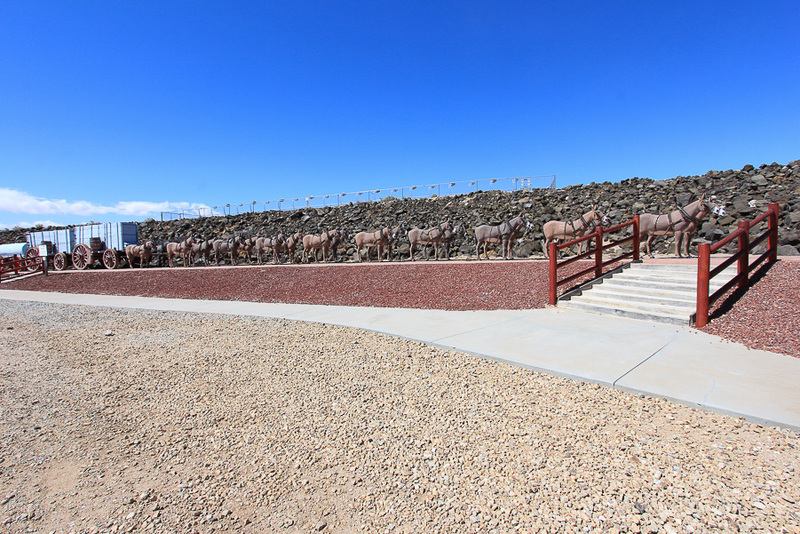 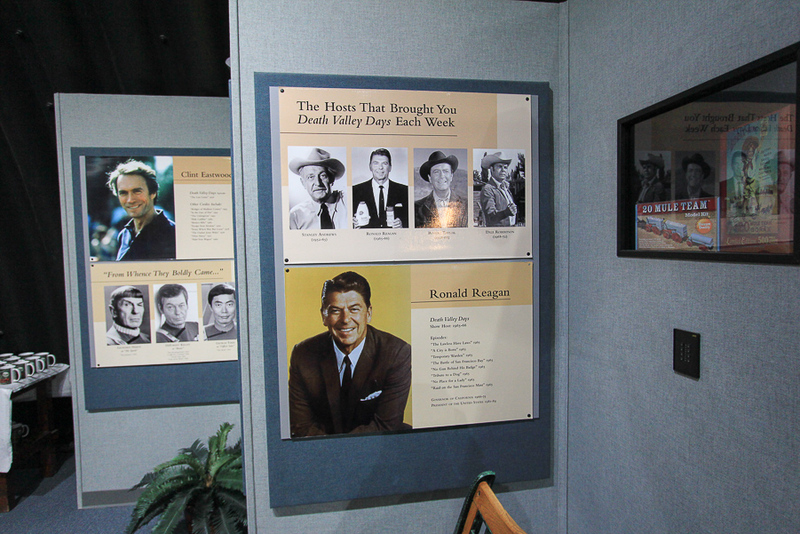 Next we headed for the Visitors' Center that is located within the mine. 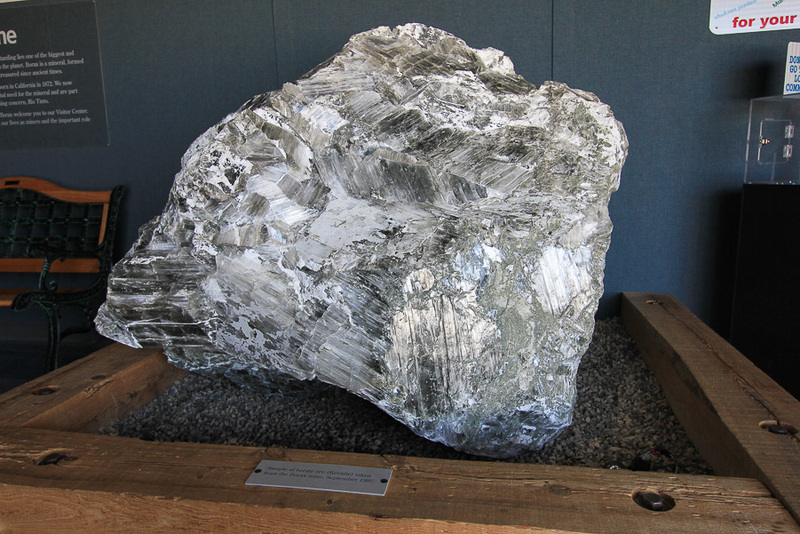 This is about a three foot chunk of Kernite ore, one of the four ores that are extracted and refined here. 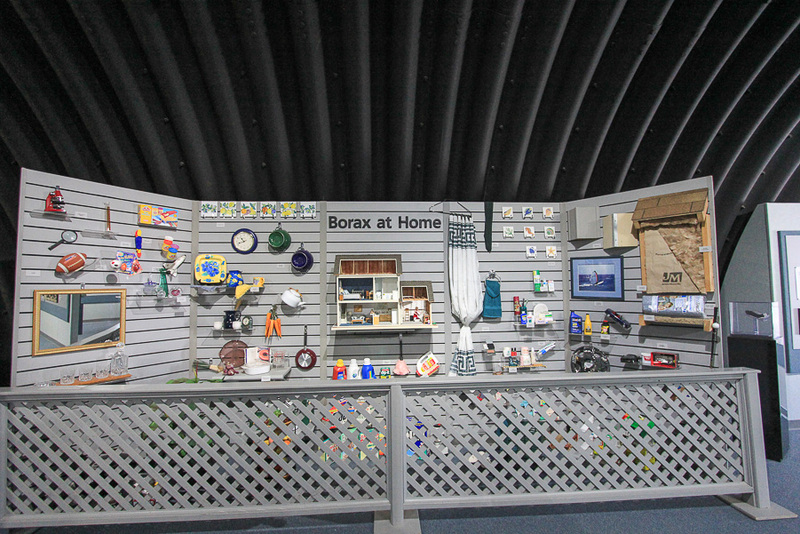 It's very hard and feels like glass. 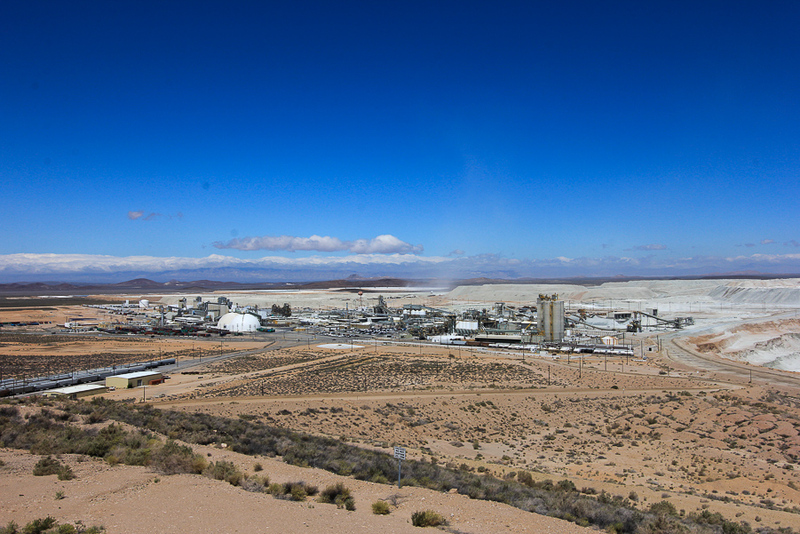 Borax has been mining here since 1927 and ships about one million tons of refined borates each year. 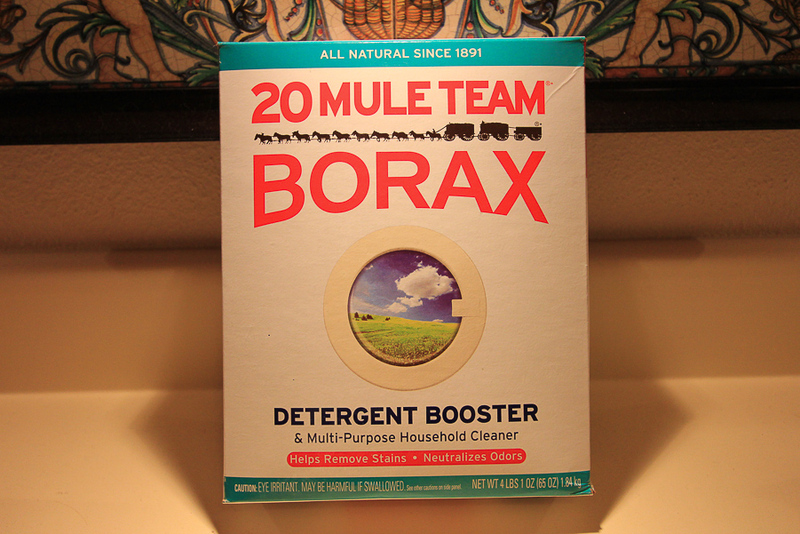 Borates are used in the manufacture of glass, fiberglass, ceramics, detergents, fertilizers, wood preservatives and other products. 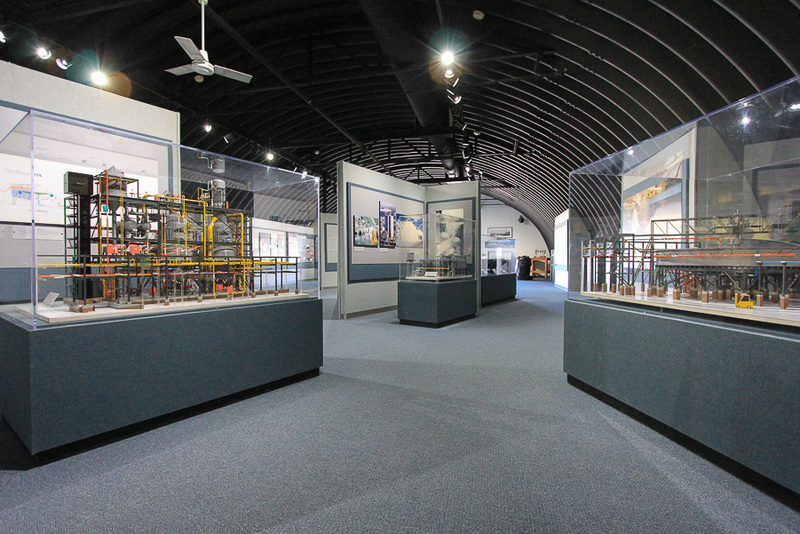 There is an observation deck above the Visitor Center, which is a great way to see the entire operation. 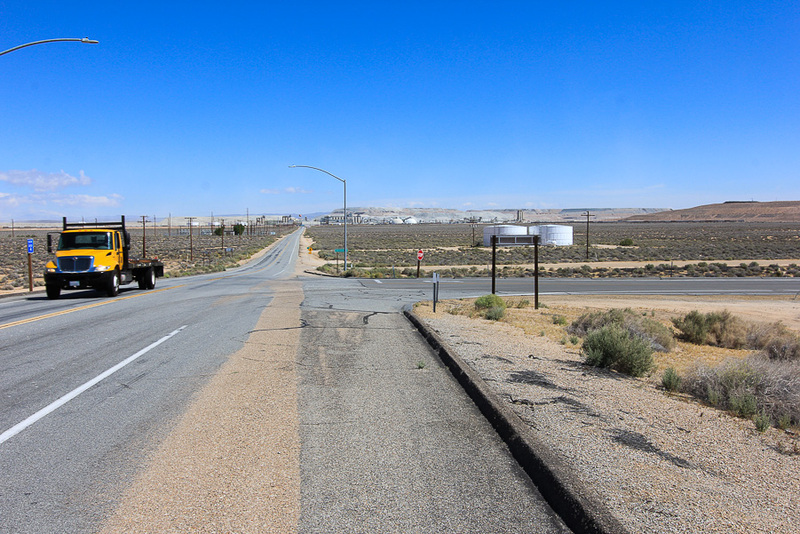 Currently the vein of ore runs over 2.5 miles. 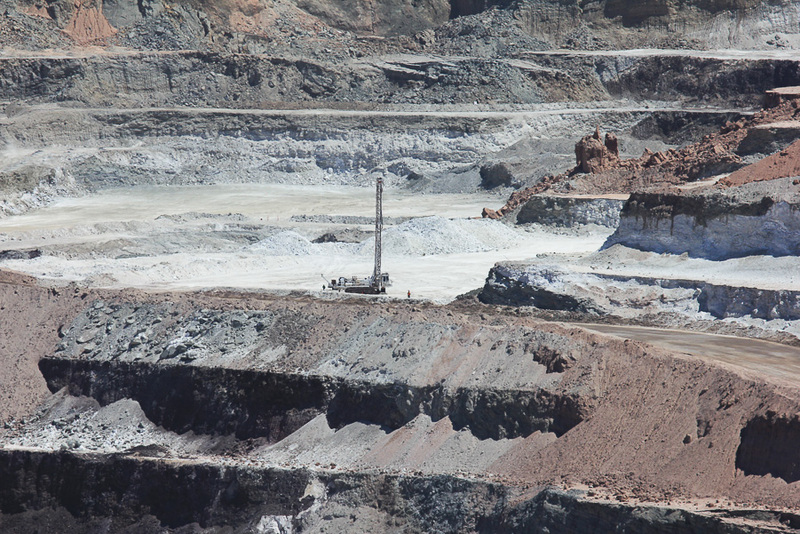 If you look closely you can see one person on each side of this drill. 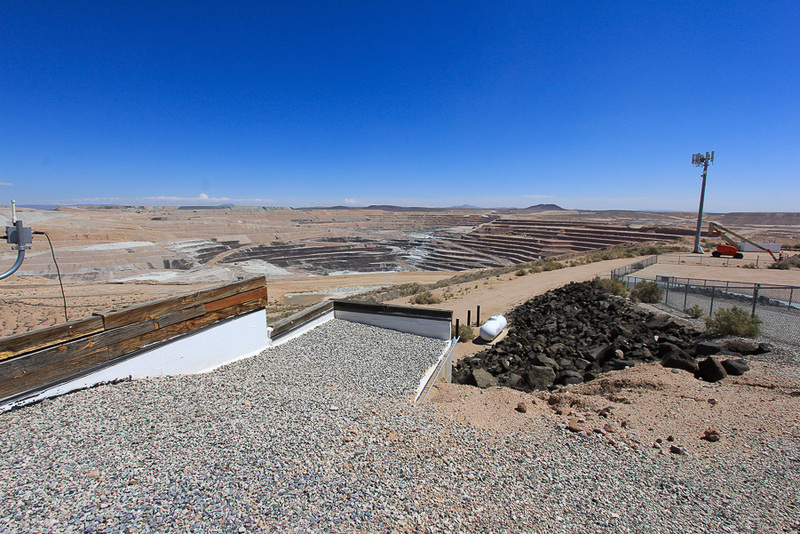 The picture below is another satellite image that shows how big this open pit is. 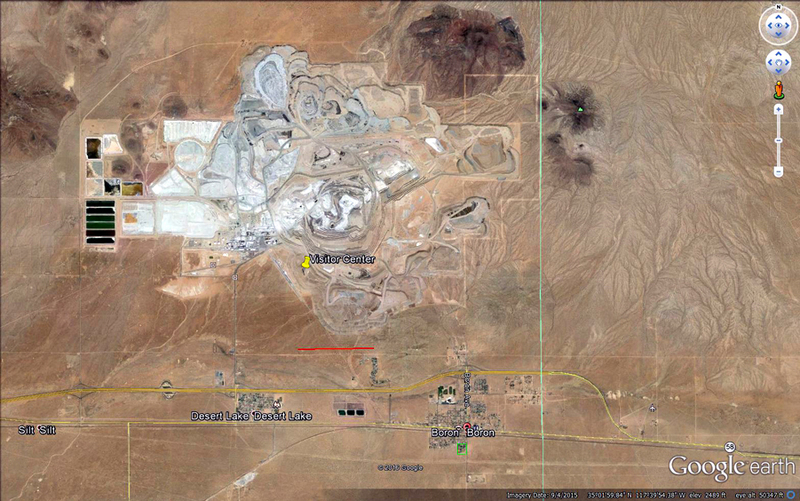 The red line indicates one mile in distance. 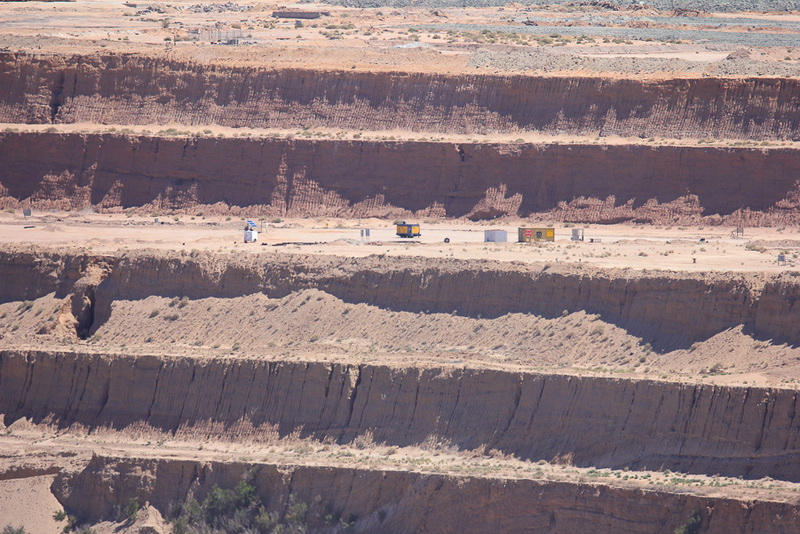 The large pit is northeast of the Visitor Center and the processing and refining operations are located northwest of the Visitor Center.